I am supporting Bowel Cancer UK’s campaign #thisisbowelcancer, to shine a light on the varied and many people affected by bowel cancer as part of Bowel Cancer Awareness Month this April. Every 15 minutes in the UK somebody is diagnosed with bowel cancer. Young, old, female or male – it affects us all. Around 268,000 people living in the UK today have been diagnosed with bowel cancer. But it doesn’t just impact the person diagnosed. It affects families, friends and colleagues, doctors and nurses, scientists and researchers. That’s millions of people right across the UK. Bowel cancer is the fourth most common cancer in the UK, with almost 42,000 people diagnosed annually. More than 16,000 people die each year of the disease making it the UK’s second biggest cancer killer, but it shouldn’t be as bowel cancer is treatable and curable, especially if diagnosed early. I am backing a major charity campaign to shine a spotlight on Parkinson’s, to raise understanding of and change attitudes towards the condition. Parkinson’s is a serious neurological condition with more than 40 symptoms that affects people of all ages. It causes problems in the brain and gets worse over time. Currently there is no cure. 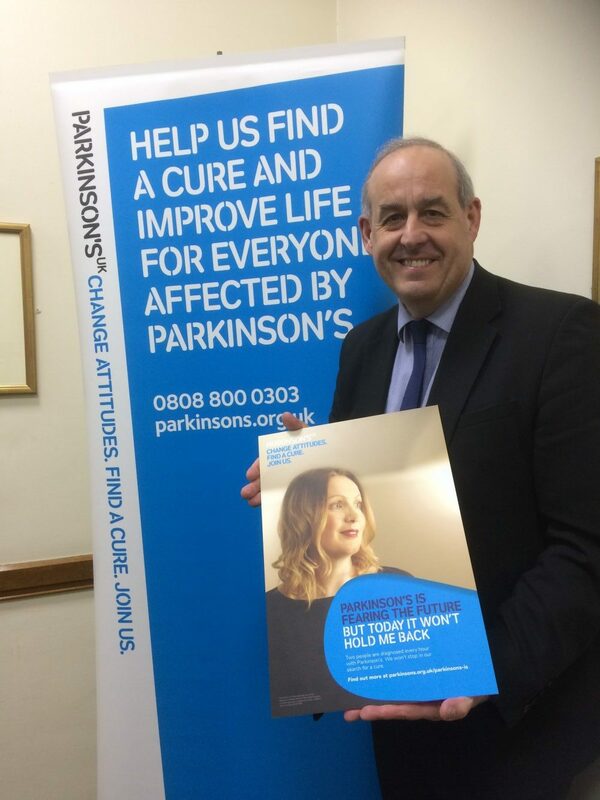 One in 37 of us will be diagnosed with Parkinson’s in our lifetime, and I’m proud to support Parkinson’s UK’s new campaign to challenge widely held misconceptions about the condition. I urge people to visit the charity’s website to find out more about how they can get involved in Parkinson’s Is. “We hope our new Parkinson’s Is campaign which sees people across the UK share how the condition affects their lives will raise awareness and help correct public misconceptions about this much misunderstood condition. My colleague Nick Smith MP (Blaenau Gwent) secured a Westminster Hall debate this week on the British Steel pension scheme and the companies who have been trying to mis-sell terrible schemes to those pension holders. There was an absolute lack of information provided to the pension scheme holders by the UK Government during its transfer and this resulted in a number of companies providing poor advice to deliberately benefit from the proceeds of transfer. Currently, 17 companies are under investigation. We cannot let steelworkers, either those still working in the industry or those already in retirement, lose their pensions. The UK Government need to take this seriously and ensure a proper investigation is undertaken by authorities and greater protections are in place for pension holders.